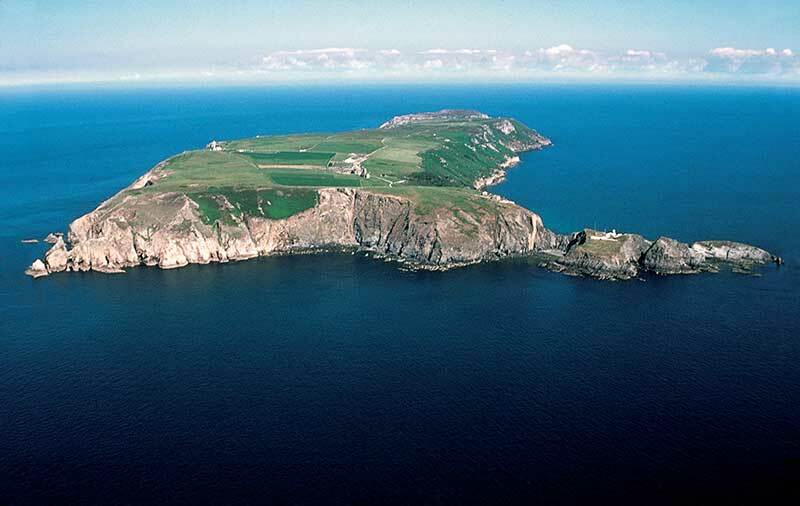 Just 3 miles long and half a mile wide, the tiny island of Lundy was once a pirate stronghold. It is now a marine conservation area with a working farm, a pub, a church, a castle, three lighthouses and a thousand acres of unspoilt nature. It is also the location for the 2019 Cloud Appreciation Society Sky Gathering. With amazing speakers, engaging workshops, characterful accommodation and delicious local food, this will be a delightful blend of relaxation, education and stimulation for sky lovers – all in a unique natural location. 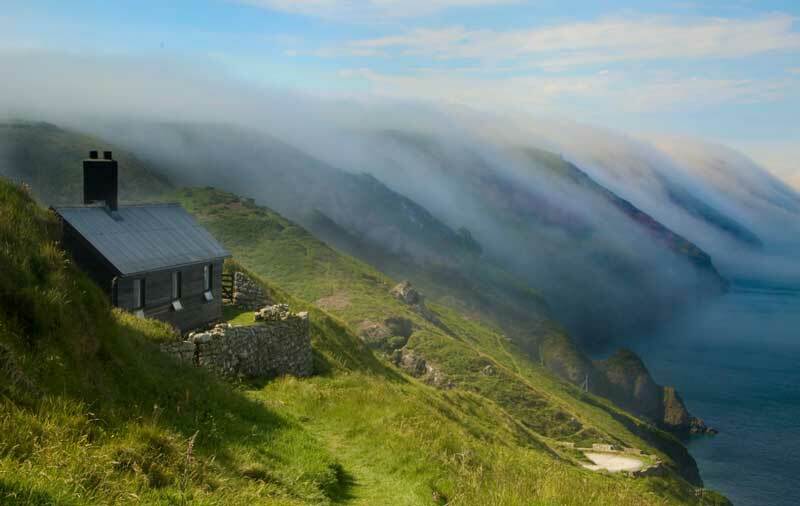 We are holding the 2019 Cloud Appreciation Society Sky Gathering on the beautiful island of Lundy, 12 miles off the coast of North Devon, southwest England where the Bristol Channel meets the vast expanse of the Atlantic Ocean. 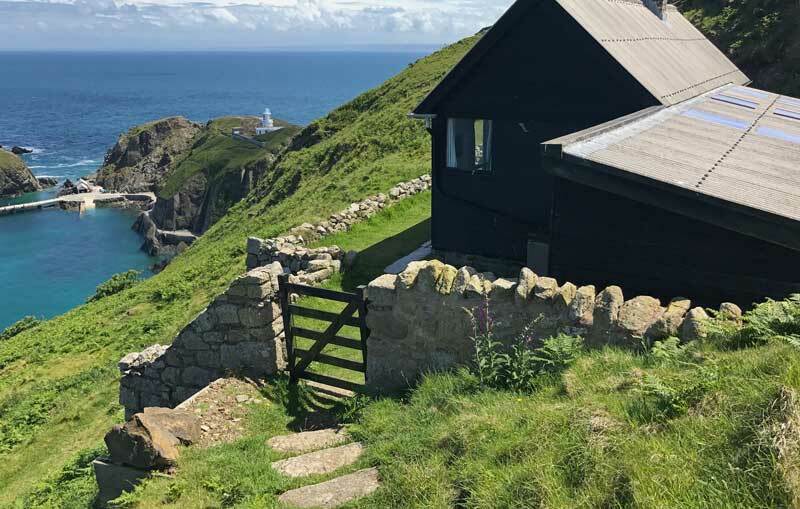 Aside from the island staff we will be the only people staying on Lundy, enjoying its charming range of characterful properties. There will be a range of fascinating talks, stimulating workshops and uplifting outdoor activities. The Sky Gathering will be an opportunity to meet fellow Cloud Appreciation Society members and their friends from around the world. Escape from day-to-day pressures. Immerse yourself in something meaningful as you learn about the science, art and culture of the sky in this unspoiled island haven. The beautiful and tranquil island of Lundy. Where better to broaden your appreciation and understanding of the sky? 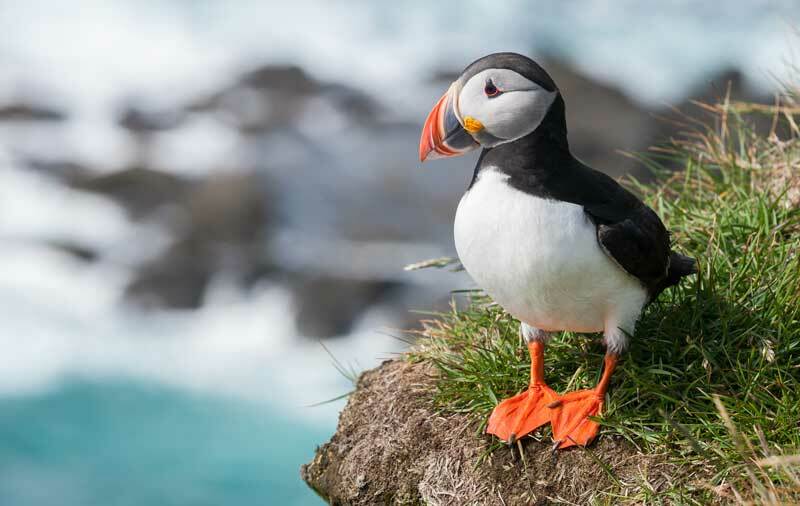 Lundy’s name comes from the ancient Norse for ‘Puffin Island’ after its most charismatic seabird visitor. Manx shearwaters, Guillemots, Razorbills and a broad variety of gull species also inhabit the island. 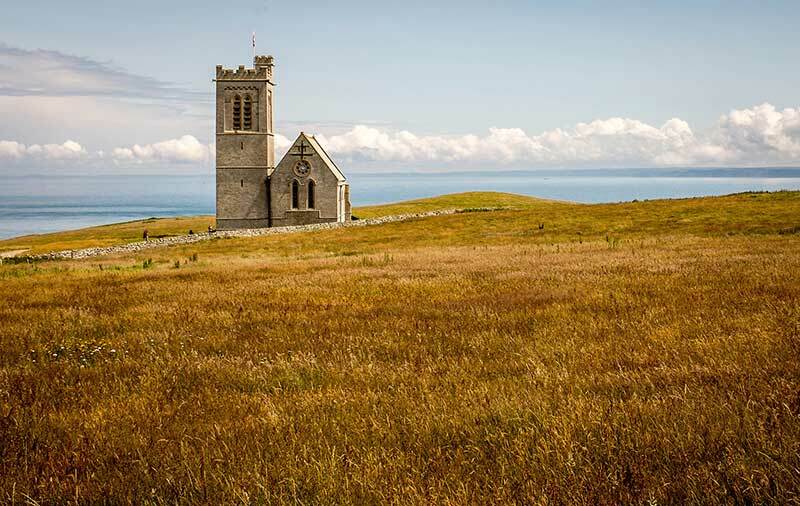 It is a place of tranquil natural beauty today, but Lundy has a wild and colourful history. 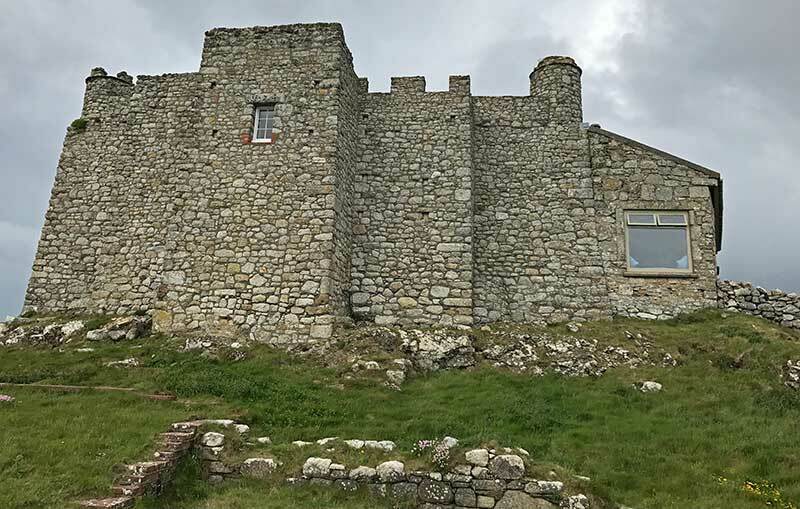 The medieval castle, now known as Marisco Castle, was built in the 13th Century by King Henry III in an effort to control the unruly band of pirates who inhabited Lundy at the time. Positioned near the historic shipping routes into the city of Bristol, it was the perfect hideout for ruffians who preyed on merchant ships laden with valuable cargos from overseas. In the 18th Century, the island was inhabited by a smuggler called Thomas Benson. He was contracted to transport convicts from Bristol to America but instead landed them on Lundy and forced them to work for him. Visitors to the island can still find beneath the castle ‘Benson’s Cave’, which the convicts dug to hide his contraband. 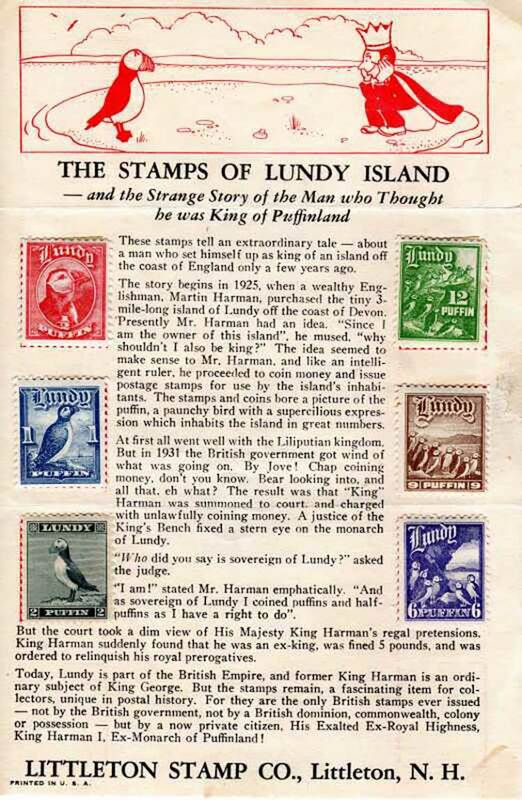 In the 1920s, Lundy was owned by Martin Coles Harman, who declared himself ‘King of Lundy’ and proceeded to produce his own postage stamps and mint his own currency, known as the ‘puffin’. When this came to the attention of King George V, Harman was summoned to the High Court in London and reminded that he was breaking the law. 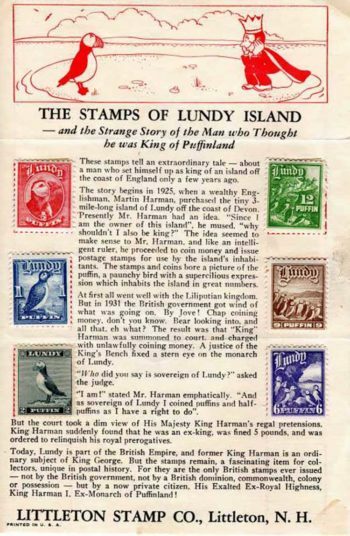 While the currency was banned, the Lundy stamps were considered harmless and to this day the island issues its own stamps for anyone wanting to send a postcard home. When it is shrouded in fog, this rocky outcrop is a peril for passing ships. As a result, Lundy is surrounded by wrecks. 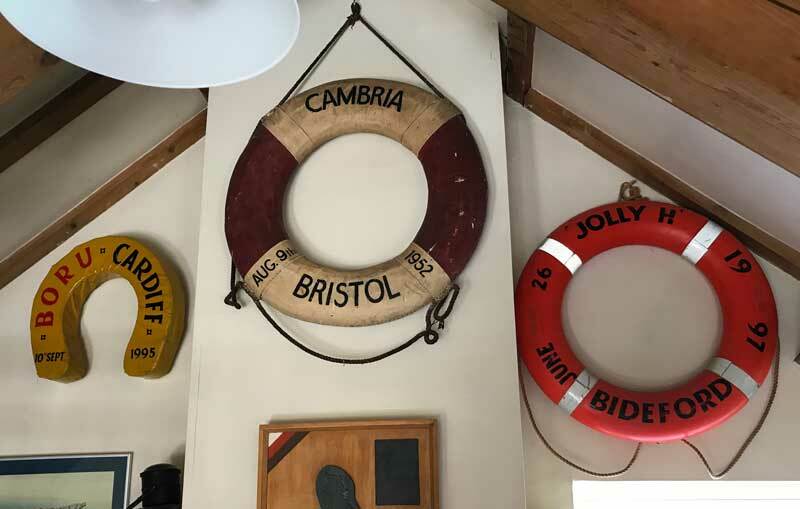 Many of the lifebuoys salvaged from the stricken vessels now adorn the walls of the Marisco Tavern pub, named after its most notorious former resident, the pirate and privateer William de Marisco. 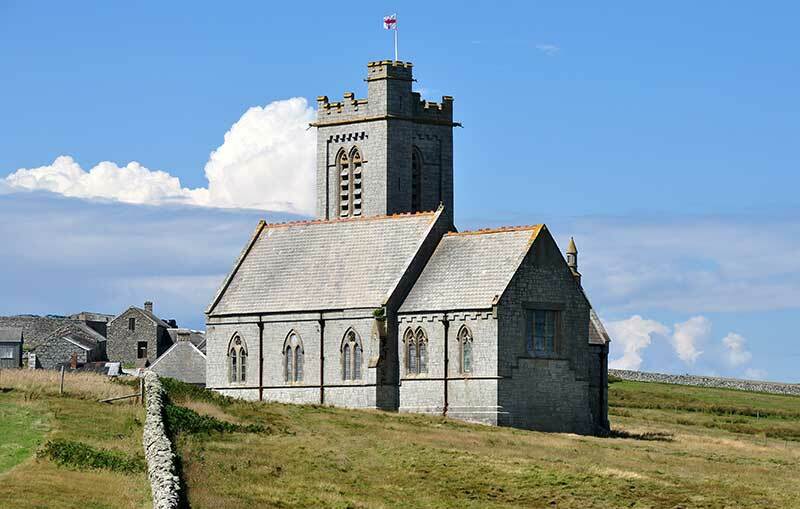 Lundy: tiny, unspoilt and brimming with history. This seven-day Sky Gathering begins in London on Thursday 16th May 2019 and ends in the city of Exeter on Wednesday 22nd May 2019. We will travel together by coach to near Ilfracombe on the North Devon coast. There we will stay the night and head by boat the next morning to the island of Lundy, where we will be staying for three nights. A broad range of talks will be held in the mornings within the converted island church of St Helena’s. There will be optional activities and workshops in the afternoons suitable for varying levels of mobility. We will be providing breakfast provisions in the kitchens of all accommodation on the island. Guests will be able to buy their own lunches from the Marisco Tavern or the island shop. There will be plenty of opportunity to meet the other Cloud Appreciation Society members and guests as we will be dining together each night in the island pub. For those who enjoy walking, we will include ample time to explore the island. In short, this Sky Gathering can be as active or as relaxed as you want. 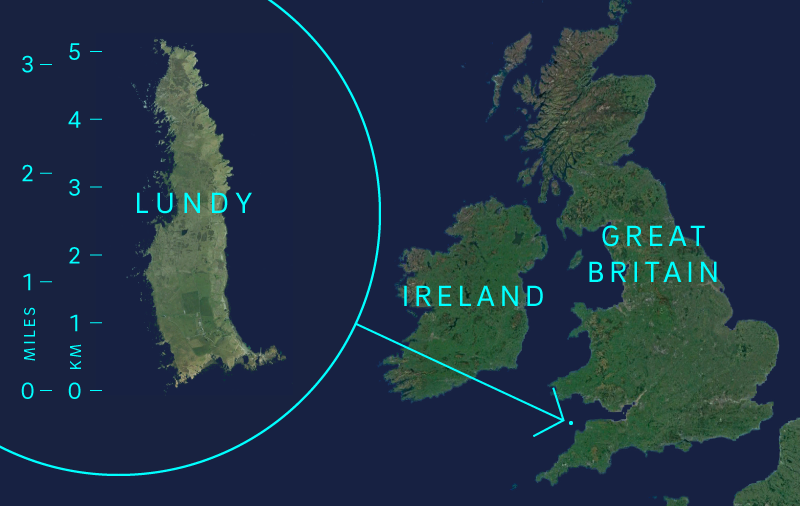 We will be the only ones, aside from the staff, staying on Lundy, which has to be the most eccentric location yet for one of our Sky Gatherings. This itinerary is a guide. Please bear in mind that the timings and exact nature of the events and activities could change as plans develop. All guests will make their own travel arrangements to reach London, where we’ll all meet for our first night at the Meliá White House hotel, situated next to Regent’s Park in the heart of London. We will be welcomed over drinks and nibbles by Gavin Pretor-Pinney, Society founder and Member 0001. This will be the first opportunity to make friends with fellow members and guests. 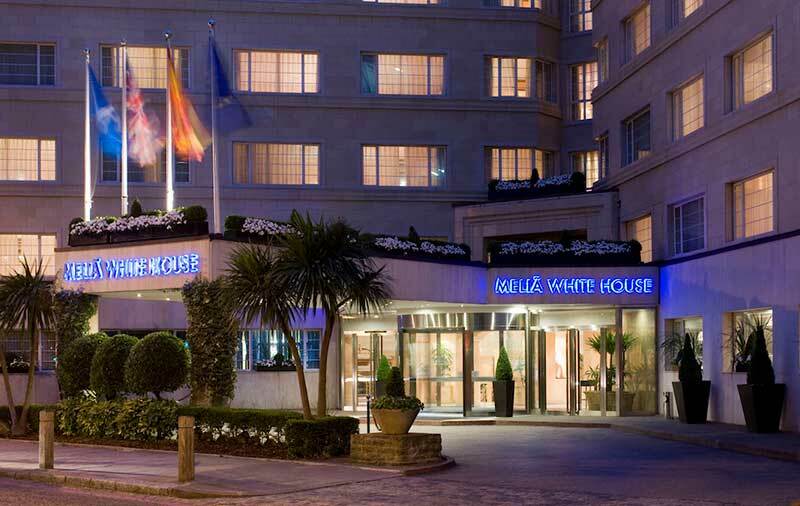 Overnight: Melia White House hotel, Albany Street, Regent’s Park, London NW1 3UP. Included: welcome drinks and nibbles, accommodation at Meliá White House hotel. Not included: transport to reach the Meliá White House hotel, dinner. We will stay on our first night at the Meliá White House hotel next to London’s Regent’s Park. After breakfast, our coaches will whisk us away to the southwest of England. En route, we’ll pass a fantastic view of Stonehenge before we stop to stretch our legs for a lunch break in the world-famous gardens of Stourhead. 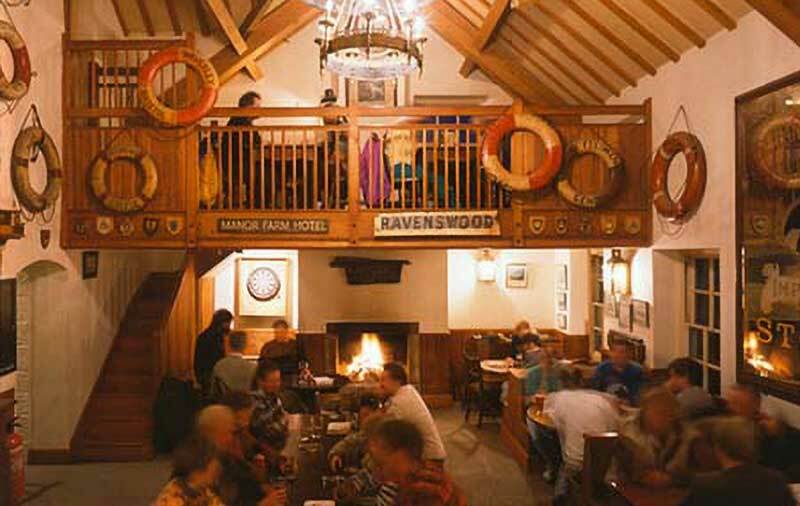 After buying ourselves a bite to eat in one of the great food options at this location, we’ll head on to our Devon hotel for the night before we set sail for Lundy. Overnight: hotel in Devon, England (to be confirmed). Included: breakfast, all transport, entry to Stourhead gardens, dinner (ex. drinks) and overnight in Devon hotel. 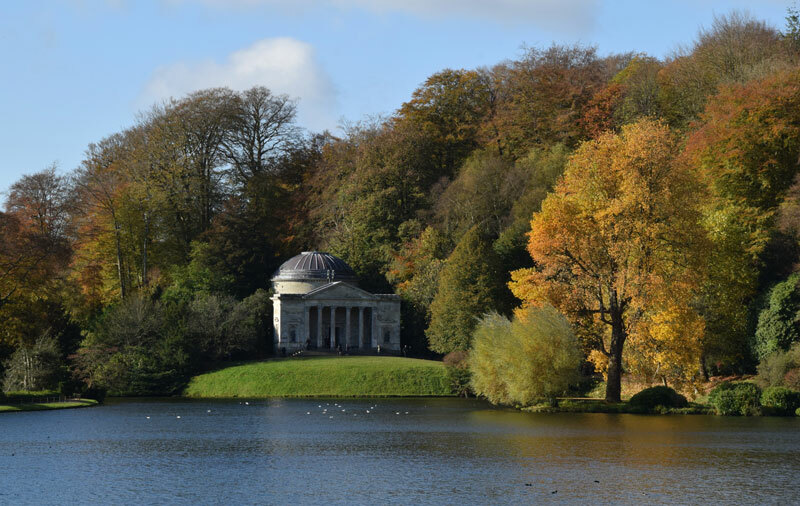 Not included: lunch at Stourhead (different options are available, from light snacks to full meals). We will break our journey to North Devon for lunch and a stroll around the world-famous landscape gardens of Stourhead. 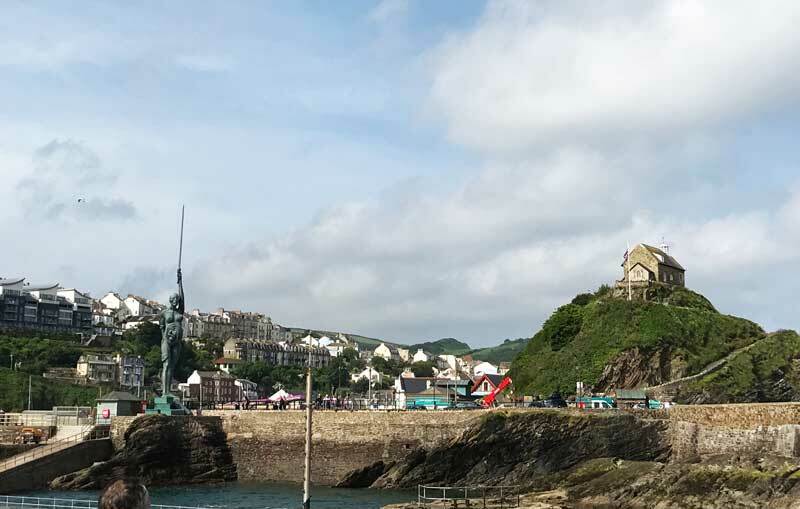 We’ll head, first thing, to the picturesque harbour of Ilfracombe on the north Devon coast for our 2-1/2-hour voyage to the island of Lundy. The voyage will be on the island’s own boat, MS Oldenburg. It is common for curious dolphins and porpoises to swim alongside. Upon arrival, our luggage will be taken to our properties by the island staff. Anyone with mobility concerns can be driven up to the village from the boat jetty by the island staff. The island offers a range of unique accommodation, which will be ready for us after lunch. 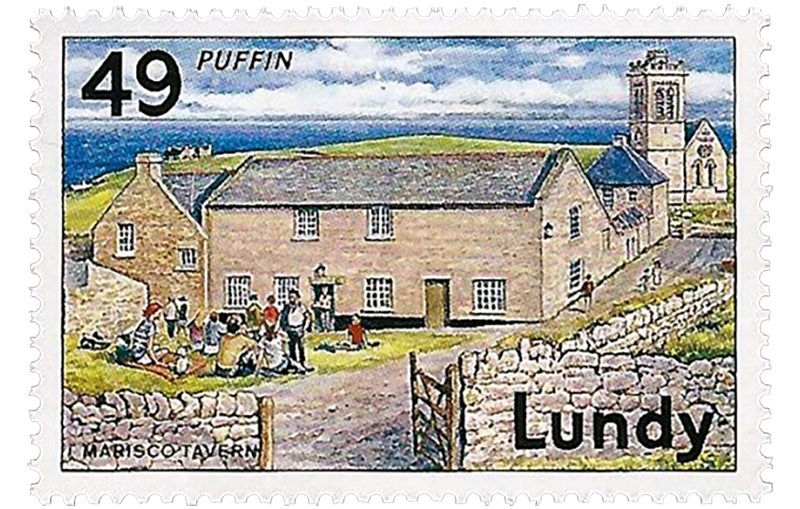 Waiting in your property will be your welcome bag, which will include your exclusive ‘Lundy Sky Gathering’ embroidered patch. Relax this afternoon to find your bearings, or take a map and head off on a island walk. Dinner in the Marisco Tavern will be an opportunity to meet the speakers who we’ve brought over to enlighten and inspire you on the coming days. Included: breakfast in Devon hotel, all transfers to Ilfracombe, ferry over to Lundy, dinner (ex. drinks) and accommodation in one of the island’s properties. Not included: lunch (available for purchase from the pub or island shop). 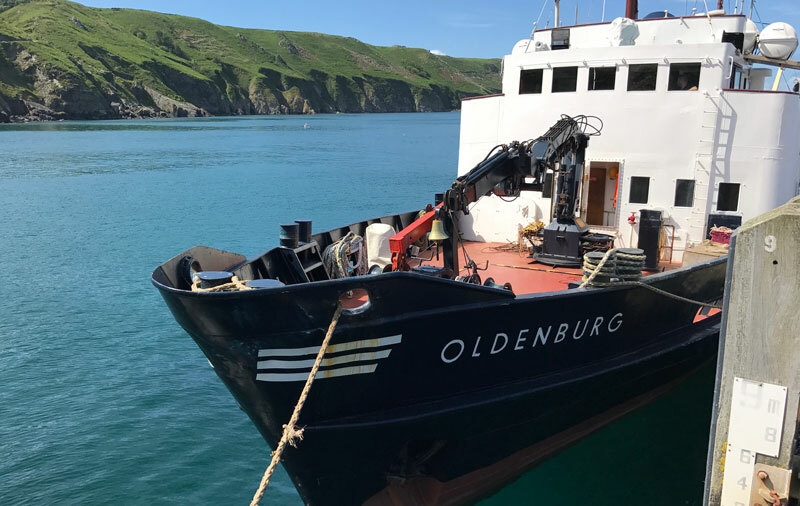 We’ll set sail to Lundy on MS Oldenburg, the island’s own passenger ferry. Start the day with a leisurely breakfast at your property. Each has its own small kitchen, where we will have supplied breakfast provisions. 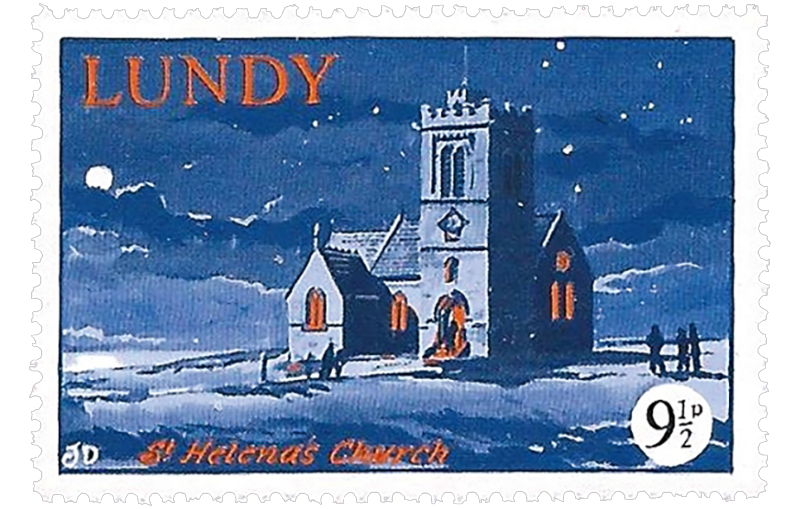 Then we will meet for the first of our fascinating talks in the island church, St Helena’s. Recently restored to work as a speaking venue, this 19th century church will be the location for a rich and varied programme of morning talks and activities. Let our expert speakers open your eyes and stimulate your mind to the science, art and culture of the sky. After lunch and depending on the weather, you will be able to participate in a range of optional outdoor walks and workshops. Options for different mobility levels will be offered. In the evening, dinner at the Marisco Tavern will likely include a special musical performance. Included: breakfast provisions in your property, all talks, activities and performances, dinner (ex. drinks) and overnight accommodation. The recently converted island church, St Helena’s, is where we will congregate for our daily dose of sky worship. The weather changes fast and often on Lundy. Your short morning walk to St Helena’s might be through bright sunshine, wild winds and rain or calm, gentle fog. Whatever the weather, the church will be a welcome gathering spot. 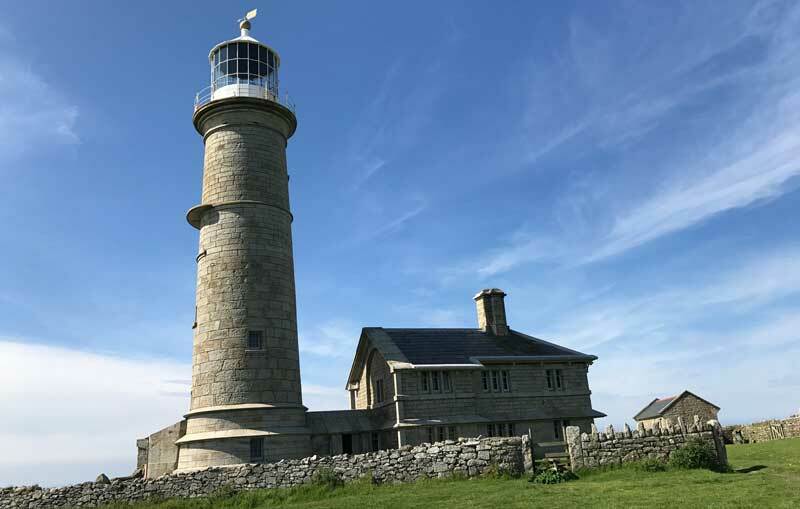 In addition to our sky experts, we will also hear from island staff about the fascinating wildlife and history of Lundy. Our range of afternoon activities will include an expedition to spot some of the many varied species of sea birds nesting at this time of year as well as the playful seals that frequent this marine conservation zone. You could also take in the impressive view from Old Light. 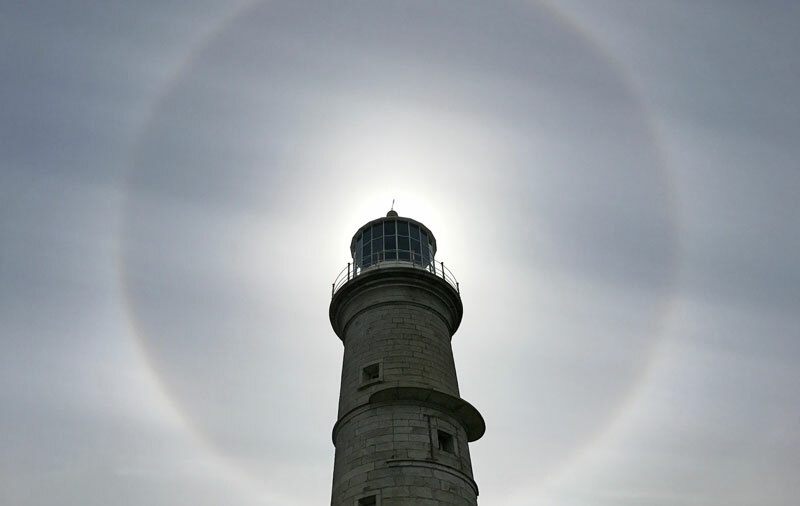 Built in 1820, it was at the time the tallest lighthouse in Britain. Why not visit Benson’s Cave cave hidden beneath Marisco Castle? 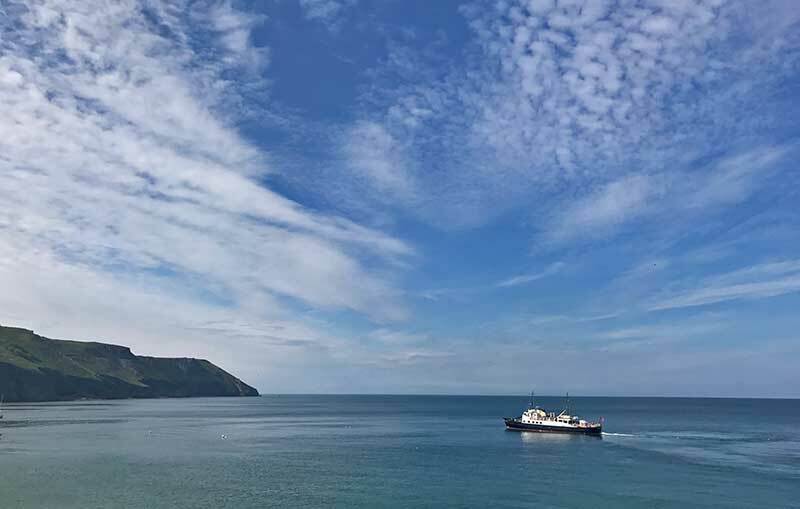 Our celebration dinner on this final evening on the island will include a Lundy Sky Quiz – with Cloud Appreciation Society and Lundy prizes to win! 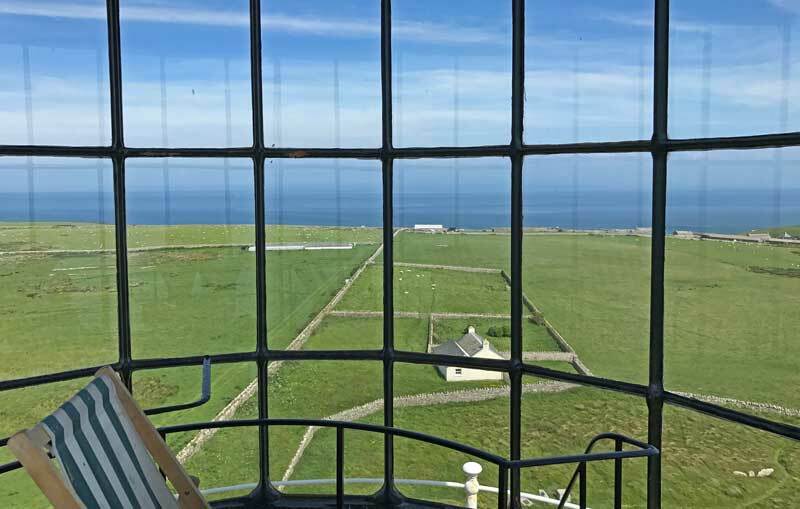 For a view of the whole island take a deck chair at the top of Old Light, Lundy’s original lighthouse. The tallest in Britain when it was built in 1820, Old Light turned out to be ineffective as its beam shone above the fog. Doh! After packing your bags, which will be collected by the island staff to be brought down to MS Oldenburg, you will be free to enjoy your last morning on the island at your leisure. Why not explore more of the island by taking part in the hidden treasure trail, known as ‘letterboxing’? After lunch, we will sail back across the Bristol Channel to the Devon port of Bideford, where our coach will be waiting to take us on to our hotel in Barnstaple, Devon, for the last night of the trip. Camping guests who want to return to Ilfracombe to collect their cars will be transferred by coach organised by the staff at Lundy island. Included: breakfast provisions in your property, boat journey to the mainland, transfer to our hotel, dinner (ex. drinks) and overnight accommodation in Barnstaple hotel (exact location to be confirmed). Coach transfer from Bideford to Ilfracombe for camping guests. At the entrance to the tiny harbour of Ilfracombe, North Devon, stands the bronze statue ‘Verity’ by artist Damien Hirst. After breakfast at the hotel, we will be transferred by coach to the city of Exeter. 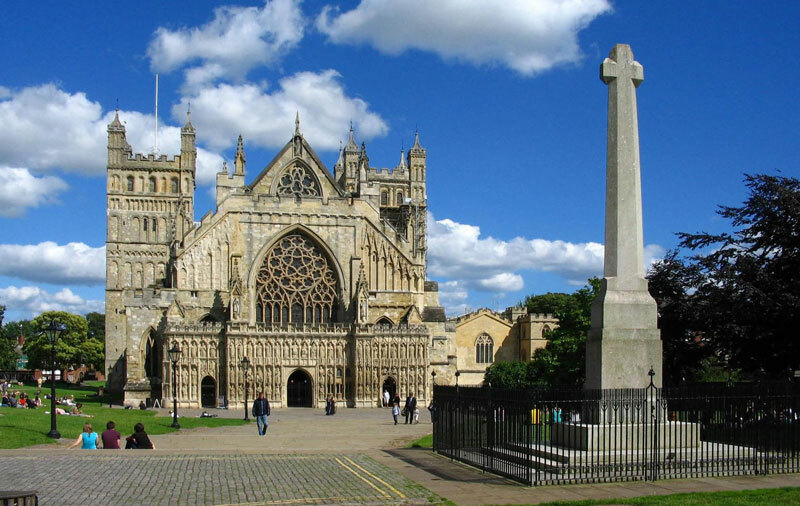 Some will want to take the fast train back to London (about 2 1/2 hours from the station in Exeter), while others will want to explore this vibrant city with its impressive cathedral, before heading in other directions or further exploring the South West of England. Included: breakfast at the hotel. Coach transport from our hotel to the centre of Exeter. Not included: any meals after breakfast, onward travel from Exeter. We can, however, advise on train bookings. Exeter Station is a hub for rail travel on to many destinations. On our final day you may like to find the time to visit the Cathedral Church of Saint Peter, in the heart of Exeter. Tickets for staying in the island accommodations are now sold out, but camping tickets are still available (see below) for those guests who want to join and depart the group at the harbour in Ilfracombe. These per-person prices are based on the island accommodation. The options are broken down into different accommodation levels. See the ‘What’s included’ box for more information about what is included in the ticket price. Single traveller shares and supplements: The single per-person price above is based on guests sharing on the island with up to four others of the same gender in a multi-bedded room and sharing a twin room in the mainland hotels. 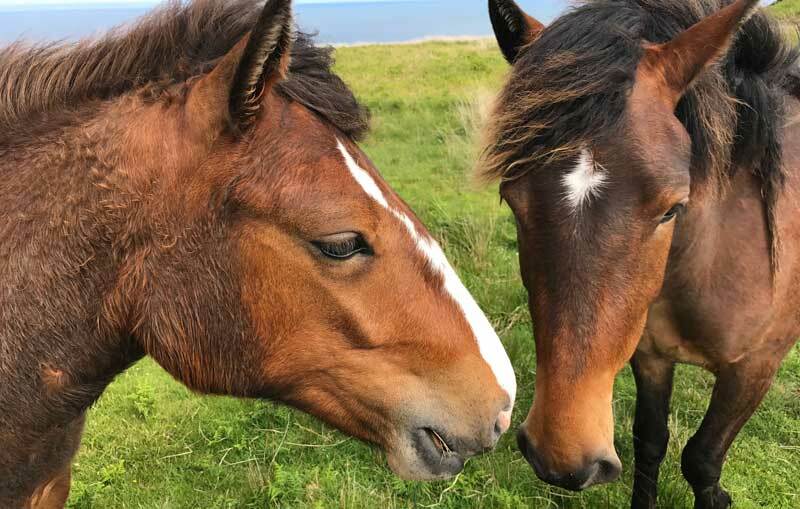 While there are no single properties available on the island, we can try to pair separate individual travellers of the same gender in a twin property. Please let us know if you would like us to try and pair you with another guest. A single supplement of £210.00 applies for anyone wanting single-room occupancy in the mainland hotels. Deposit: A non-refundable deposit of £240.00 per person is payable at the time of booking. The balance will be due 120 days prior to the departure date. This trip is booked through our agency partners Discover The World. Please read carefully the Booking Terms and Conditions. All transport and transfers are included from our meeting location at the Meliá White House hotel, Albany St, London NW1 3UP, UK, and to our departure location in/near Exeter, Devon, UK (hotel to be confirmed). 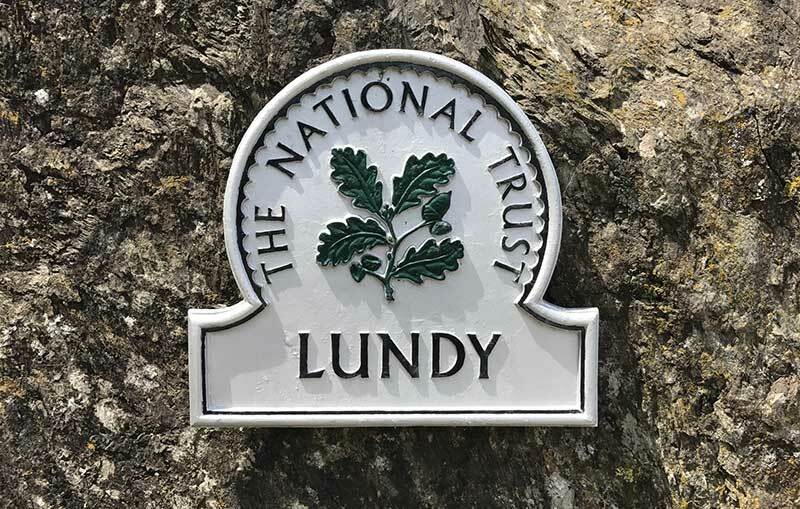 All talks, workshops and group activities on Lundy. Welcome drinks and nibbles on first night in London on 16th May 2019. Breakfast at all mainland hotels. Breakfast provisions will be provided in your Lundy island property. Dinner (excluding drinks) for all nights, except on our first night at the Meliá White House hotel in London on 16 May 2019. Cloud Appreciation Society welcome bag. Transport to and from your home location to the meeting and departure locations is not included. Drinks at any of the dinners are not included. Lunch on any of the days is not included. Dinner on first night at Meliá White House hotel, London is not included. Discretionary tips/gratuities are not included. Travel visas are not included (check whether you need one to visit the UK). 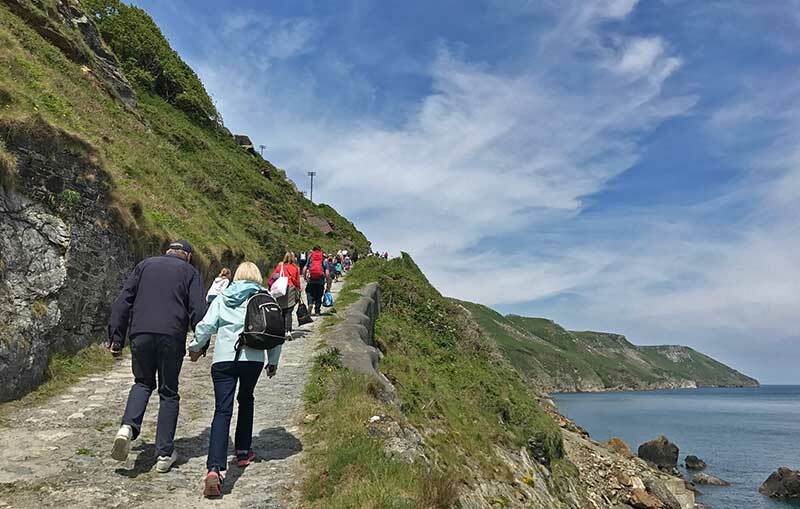 This is the per-person price if you stay on the island campsite for a part itinerary, joining the group at the ferry in Ilfracombe, Devon, on the morning of 18 May 2019 (9.00am meeting time, to be confirmed) and departing after we disembark in Ilfracombe on the afternoon of 21 May 2019 (6.30pm approx. arrival time, to be confirmed). Deposit: A non-refundable deposit of £120.00 per person is payable at the time of booking. The balance will be due 120 days prior to the departure date. 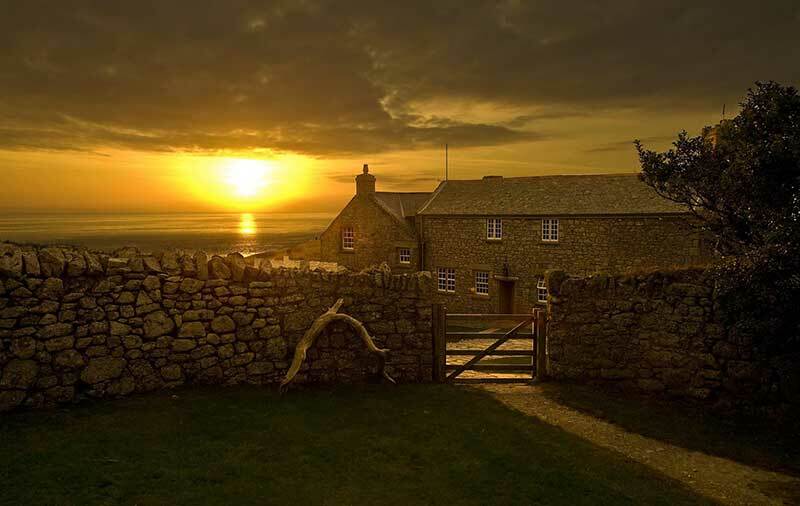 See FAQs: Sky Gathering on Lundy Island or ask us at [email protected]. Boat transport from Ilfracombe Harbour to Lundy and back. A pitch in the island campsite with use of toilet and shower facilities, but guests will need to bring their own tents and bedding. Dinner (excluding drinks) for all nights on the island of Lundy. Transport to and from your home location to the meeting and departure point in Ilfracombe Harbour, Devon EX34 9EQ, UK, is not included. Any transport or accommodation on the mainland is not included. Tent and bedding is not included. Breakfast or lunch on any of the days are not included (available to purchase in the island pub or shop).